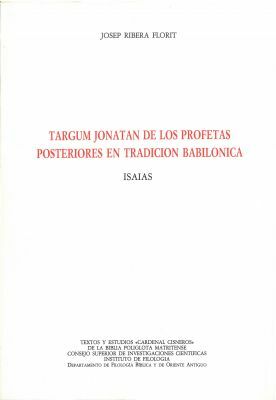 Spanish edition aimed at the study of the vocalisation in the Targum of Isaiah. 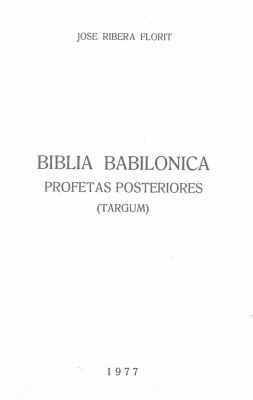 Research paper submitted for the competitive examination for professorship in the Section of Hebrew and Aramaic Studies at the University of Barcelona. 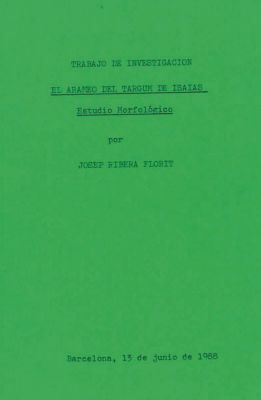 Syllabus and report submitted for the aptitude tests for the post of tenured professor. 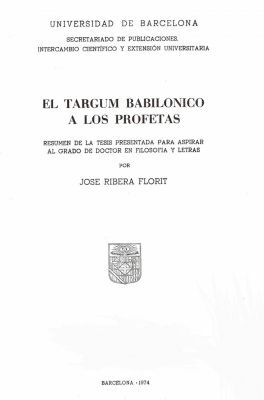 Transcription of the Babylonian manuscripts at the centre of the author's doctoral thesis, Targum babilónico a los Profetas Posteriores: Introducción, estudio gramatical y transcripción de los mss. 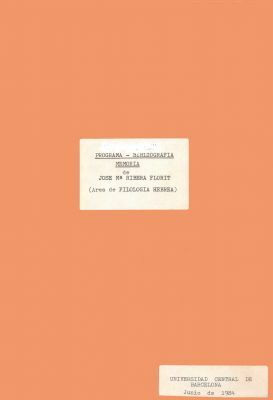 targúmicos sobre los Profetas Posteriores en puntuación babilónica (1973). Report submitted for the competitive examinations for the post of associate professor. 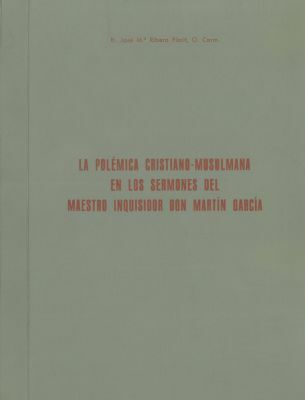 Abridged version of the author’s doctoral thesis, Targum babilónico a los Profetas Posteriores: Introducción, estudio gramatical y transcripción de los mss. 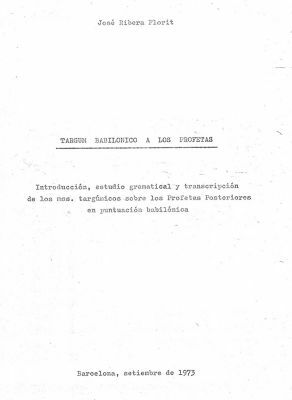 targúmicos sobre los Profetas Posteriores en puntuación babilónica (1973). 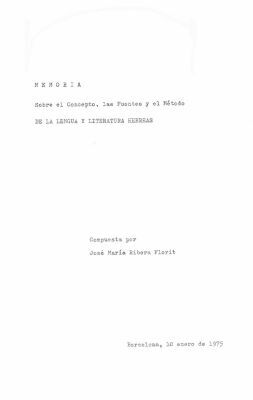 Thesis submitted under the supervision of Dr. Alejandro Díez Macho (1916-1984), as part of the PhD programme in Philosophy and Letters. 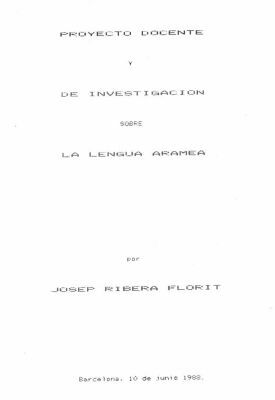 Thesis submitted under the supervision of Dr. Joan Vernet i Ginés (1923-2011), as part of the Bachelor’s degree in Philosophy and Letters, graded Outstanding and awarded the Prize for Extraordinary Undergraduate Research by the University of Barcelona.